Supreme Court Justice-elect Melody Stewart gave the oath of office to third-term 9th district state Rep. Janine Boyd (D-Cleveland Heights) and newly elected 12th district state Rep. Juanita Brent (D-Lee/Harvard) on Dec. 16. Stewart, currently a judge on the Eighth District Court of Appeals, will be sworn in to the Supreme Court on Jan. 2. Boyd organized the event, which she said the legislature encourages to promote community participation. Boyd said it can be difficult for some constituents, like her mother, who uses a wheelchair, to go to Columbus to see the mass swearing-in ceremony on the floor of the Statehouse on Jan. 7. On June 24, The Cleveland Foundation will host its second annual Common Ground event at various locations across Cuyahoga, Lake and Geauga counties. Common Ground is comprised of a series of conversations among community members all addressing the same question. This year’s question, “Why Does Place Matter?”, asks participants to consider the importance of place as it relates to “to our health, our security, and our future.” Several Common Ground events will be held in the Heights. Spirit Corner, a mini-park created by Coventry Village neighbors on a vacant lot at Hampshire and Cadwell roads, will host a brunch at the site at 10:30 a.m. Learn how neighbors created this neighborhood mini-park and how they sustain it. Then, discuss placemaking opportunities in your neighborhood. Cuyahoga County Council District 10 has two candidates vying for the Democratic nomination in the May 8 primary, current Councilman Michael J. Houser and Cleveland Heights Council Member Cheryl Stephens. The winner will face Republican Angela Bennett in the November election. Houser was appointed to fill the county council position when Anthony Harrison was elected to Cleveland City Council. Houser won the party endorsement for the seat in January. Houser’s grandparents lived in the Heights, and he has seen the challenges and successes of this area firsthand over the years. He has combined this knowledge with his experience at the state, federal and county levels to develop and work on programs that will benefit all areas. On May 8, Heights residents will vote in the primary election for the Ward 10 Cuyahoga County Council representative, which includes Cleveland Heights, University Heights, Bratenahl, East Cleveland and two wards in Cleveland’s University Circle neighborhood. Former Cleveland Heights mayor and current CH City Council Member Cheryl L. Stephens is running for the seat against Michael J. Houser, who was chosen by Cuyahoga County Democratic precinct committee members to fill the seat vacated by member Anthony Hairston, following his election to Cleveland City Council last November. The Cuyahoga County Board of Elections website also lists Angela Bennett, a Republican, as a write-in candidate for the seat. Stephens stated that she is running because she believes the district needs someone who has experience working on the issues. Several key issues she pointed out are economic and community development, LGBTQ rights, supporting MetroHealth System, and ensuring strong finances. On Feb. 6, it was reported that Cuyahoga County had 14 deaths from drug overdoses in one weekend. A group of concerned church members has organized a panel of experts from Church of the Saviour and the community to speak of their professional experiences in dealing with the complex issue of opioid addiction. The program, The Opioid Epidemic in Cuyahoga County, will talk place on Wednesday, May 17 at 7 p.m. in the church’s parlor. Church of the Saviour is located at 2537 Lee Road in Cleveland Heights. In the Nov. 3 general election, Cleveland Heights voters approved an additional .25 percent income tax (Issue 53), with 59.59 percent (7,573) voting in favor of the increase, and 40.41 percent (5,135) voting against it. The increase raises the city income tax rate from 2 percent to 2.25 percent. Cleveland Heights voters elected three council members, out of a field of six candidates. They re-elected Mary Dunbar to CH City Council, and elected Kahlil Seren and Carol Roe. Seren, who had previously been appointed to council (in February 2015), to serve out the unexpired term vacated by former council member Janine Boyd, was elected with 5,080 votes. Dunbar received 6,827 votes, and Roe garnered 5,943. Cuyahoga County Council set aside $150,000 of general funds for a Community Planning Grant program to enable the county to work with cities to replace outdated master plans. Cities that never had a master plan, or had one that was at least 10 years old, were eligible to apply. 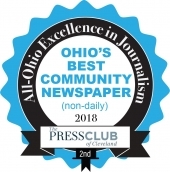 Of 14 applicants, two West Side cities—Parma Heights and Olmsted Falls—and two East Side cities—Cleveland Heights and University Heights—were selected. Imagine living close to a trail system that connects neighborhoods throughout eastern Cuyahoga County with employment centers, transit, services and parks. Imagine walking or biking to school, work or the store. Imagine being able to bike from Euclid Creek Reservation to the Shaker Median Trail, or from Rockefeller Park to the North Chagrin Reservation. Imagine the Eastside Greenway. The Eastside Greenway will increase pedestrian and bicycle connectivity in and between the eastern portion of Cleveland and 18 suburbs, including Cleveland Heights, University Heights, East Cleveland, Shaker Heights, South Euclid and Beachwood. Leaders from these municipalities are working alongside planners and other regional organizations, among them the Cuyahoga County Planning Commission, LAND studio, the Cleveland Metroparks, RTA, the Northeast Ohio Regional Sewer District and Bike Cleveland, to develop a plan for the greenway that can be used to guide implementation. Voters in all of Cuyahoga County’s municipalities will be included in the Nov. 5 general election. Municipal, judicial and school board candidates are on the ballot, as well as county and local issues. To avoid lines on Election Day, and to allow extra time to study the ballot, all registered voters may vote by mail. Vote by Mail ballot applications are available at the Board of Elections website, www.443VOTE.com, by calling the Board of Elections at 216-443-VOTE, and at all public libraries. The voter registration deadline is Oct. 7. Voters who have moved or changed their name since they last voted must complete and return a new voter registration card. Last year, the City of East Cleveland was placed in a state of fiscal emergency, and there has been a pattern of tension between city council members and East Cleveland Mayor Gary Norton Jr., especially in regard to city finances. The Cuyahoga County Land Reutilization Corporation, commonly known as the Cuyahoga Land Bank, has reached the midway point of a ground-breaking agreement with Bank of America (BoA) for responsible disposition of distressed properties. On June 14, 2011, BoA agreed to donate up to 100 low-value, distressed, vacant and abandoned properties in Cuyahoga County to the Cuyahoga Land Bank for reuse, redevelopment and neighborhood revitalization. These are properties that have been foreclosed upon, have, in many cases, been abandoned by prior owners, and might otherwise sit vacant, creating a negative impact on the surrounding neighborhood. The Cuyahoga County Board of Elections is seeking reliable and civic-minded people to serve as poll workers during the Nov. 6 general presidential election. Poll worker applications will be available at over 100 locations throughout the county. 7:30–9 p.m., Wiley Middle School lawn, 2181 Miramar Blvd. The Cuyahoga County Board of Elections is hiring temporary registration clerks to work from July 9 to July 20. Apply on-line at www.boe.cuyahogacounty.us. All applications must arrive no later than 2 p.m. on Wednesday, June 20. Vote by Mail and early voting at the Cuyahoga County Board of Elections for the March 6 Primary Election opens Jan. 31. The Board of Elections will begin mailing ballots to voters who have submitted Vote by Mail ballot applications and voters will be able to begin voting early at the Board of Elections starting on Jan. 31. The Board of Elections will not automatically mail ballot applications to voters for this election; if you with to vote by mail you must request a ballot. Where does it go? “It” is wastewater—both sanitary sewage and stormwater—that leaves the homes and businesses of more than one million Sewer District customers throughout Northeast Ohio. The Northeast Ohio Regional Sewer District (NEORSD) is responsible for treating that wastewater (approximately 93 billion gallons each year) before it is returned to the environment. Starting Jan. 24, citizens will have an opportunity to participate in a three-day online forum with the Democratic candidates for Cuyahoga Country Prosecutor. Presented by the Civic Commons and the Citizens League of Greater Cleveland, the forum will take place on the Civic Commons website (www.theciviccommons.com) from Tuesday morning, Jan. 24, through Thursday, Jan. 26. In spring 2010, the federal Department of Housing and Urban Developmenet (HUD) and the Cuyahoga County Land Reutilization Corp., commonly known as the Cuyahoga Land Bank, forged a nationally groundbreaking agreement in which HUD would transfer low-value, vacant and abandoned properties to the Land Bank for $100. HUD ended up with these properties as a result of mortgage foreclosures guaranteed by the Federal Housing Administration (FHA). One of the most watched races in Cuyahoga County next year will be the one for county prosecutor. It is one of only two countywide offices authorized by the new charter, which was voted in place in 2009. It carries considerable power because it sets priorities for the types of crimes that are prosecuted more vigorously. When sitting prosecutor Bill Mason announced last year that he would not be seeking re-election, it left a wide-open field that has attracted six candidates so far, all Democrats. Two recycling consortiums developed by the Cuyahoga County Solid Waste Management District are paying off in the form of recycling rebates paid to cities. Fifteen communities in Cuyahoga County, including Cleveland Heights and University Heights, participate in two recycling consortiums that were developed to help cities get a better recycling deal. Since the fall of 2010, the consortium participants earned $557,337 in rebates on over 10,000 tons of recyclables collected through their community recycling programs. In addition, these cities saved more than $310,000 by not having to landfill the same materials. As part of its mission to improve literacy across Cuyahoga County, the Literacy Cooperative is releasing a series of public education and advocacy briefs focused on addressing systemic and institutional barriers that affect those who have earned a high school diploma or GED, but are unprepared for post-secondary education or workforce success and are, therefore, unemployed or underemployed. Cleveland Clinic recently opened its new health center in East Cleveland, which has been named in honor of longtime public servant and advocate Stephanie Tubbs Jones. The Stephanie Tubbs Jones Health Center offers a model of outpatient care that links healthcare with social and financial services. It was named after Tubbs Jones, the congresswoman, judge and prosecutor, who devoted her career to public service before her death in 2008. Tubbs Jones was passionate about expanding healthcare coverage for low- and middle-income people and co-sponsored many legislative initiatives to achieve this goal. In the two years since its formation as a tool to battle the foreclosure crisis, the Cuyahoga County Land Reutilization Corporation, commonly known as the Land Bank, has acquired more than 1,200 abandoned properties, forged innovative partnerships with Fannie Mae, the U.S. Department of Housing and Urban Development and leading banks, and has been recognized as a national model. In a recently published report, Dennis Keating of Cleveland State University details the progress made by the nonprofit community improvement corporation since since legislation enabling its creation was enacted in January 2009. The Cuyahoga County Solid Waste Management District recently released residential recycling totals for University Heights and Cleveland Heights. These results may surprise some Heights residents. University Heights disposed of 4,273 tons of solid waste and recycled 1,837 tons of materials, which translates to recycling about 30 percent of its total waste. Local government officials expressed concern after the Cleveland Clinic announced this month that Huron Hospital, in East Cleveland, would close its doors on or before Sept. 4. The hospital will be replaced with a community health clinic, to open Oct. 3. In 2006, Cuyahoga County approved a ten-year cigarette tax to support local arts and culture. At the half-way mark, Cuyahoga Arts & Culture (CAC), which administers the tax, has granted nearly $350,000 to 10 arts supporting organizations in Cleveland Heights including Apollo’s Fire, Dobama Theatre, GroundWorks Dance Theater, Heights Arts Collaborative, Inc., Roots of American Music, City of Cleveland Heights, Creative Filmmakers Association, Ensemble Theatre of Cleveland, Contemporary Youth Orchestra and Heights Youth Theatre. Spring is in the air and the snow has melted, leaving behind an abundance of litter on our tree lawns, roadways, and parks. As you see litter scattered around the city, do you wonder how it will be cleaned up, and by whom? The fact is that over 51 billion pieces of litter land on U.S. roadways each year. Litter costs all of us the money. Getting rid of litter costs the United States $11.5 billion dollars each year (see Keep America Beautiful Inc. at www.kab.org, January 2010). After hosting a number of public meetings on the topic, the South Euclid Planning Commission unanimously approved a recommendation to the South Euclid City Council to change the zoning on 40 acres of the former Oakwood property from R-75 One-Family Residential District to C-2 General Commercial District. The South Euclid Planning Commission will hold a public meeting on Thursday, March 10, to review the proposed rezoning of the portion of the former Oakwood Country Club property within South Euclid’s boundaries. The commission is considering changing the zoning of the property from one-family residential to general commercial. The meeting will take place at 7 p.m. in the city council chambers at South Euclid City Hall, 1349 South Green Road. The Zoning Map Amendment is on file and available for public inspection at the city’s commissioner of building office at city hall. The South Euclid Planning Commission will hold a series of meetings over the next several weeks to discuss the proposed development of the former Oakwood Club property and its rezoning from one-family residential to general commercial use. The Transition Advisory Group, which oversaw the changeover to Cuyahoga County's new charter government, appointed an executive committee to establish and oversee the work of several workgroups, each group compiling recommendations for a different aspect of the new county government. Voters will select candidates to move forward on the Republican and Democrat tickets in today's primary elections. One candidate from each primary will advance to the Nov. 2 general election, where they will face several independent candidates. Last November, Cuyahoga County voters approved a charter that will elect a county executive and an 11-member council. Polls open at 6:30 a.m. and close at 7:30 p.m. Check the board of elections website to find your local polling location. Last November citizens of Cuyahoga County voted for a new county charter government that would replace the board of three county commissioners with a county executive and 11-member county council. In this year’s important Nov. 2 election, citizens will elect these new officials. 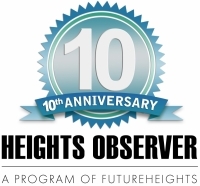 FutureHeights, the nonprofit that publishes the Heights Observer, has compiled a Voter’s Guide to provide readers with answers to key questions. FutureHeights contacted the candidates for county executive and county council districts 10 and 11 with questions developed by our fellow Observer newspapers. To be as fair as possible, all candidates were allotted the same word count for their responses. Photos are courtesy of the candidates. In the Sept. 7 primary elections voters selected candidates to move forward on the Republican and Democrat tickets. View results for County Executive and Districts 10 and 11. County Executive candidates Republican Matt Dolan and Democrat Edward Fitzgerald will advance to the Nov. 2 general election, where they will face David Ellison of the Green Party and independents Tom Lanci, Tim McCormack and Don Scipione. In District 10, Democrat Julian Rogers and Republican Matt Brakey will advance to the Nov. 2 general election, where they will face independents Michael Troy Watson and Ray Douglas Wilson. In District 11, Democrat Sunny M. Simon and Republican Kathryn E. Gambatese will face independent candidate Rich Devor, Jr. on Nov. 2. Last November, Cuyahoga County voters approved a charter that will elect a county executive and an 11-member council. For more complete election results and more information visit the board of elections website. If elected County Executive, what goals would top the list of things that you'd hope to accomplish during your term in office? If elected County Executive, what goals would top the list of things that you’d hope to accomplish during your term in office? 4. A state chartered Bank of Cuyahoga County, dedicated to investing in the county, prohibited from selling mortgages, trading in derivatives and committing usury. If elected County Executive, what would top the list of things that you'd hope to accomplish during your term in office? I plan to clean up the corruption and restore confidence in county government—the FBI can and will only take care of a piece of this—the highest ethical standards must be set and met among all county employees and departments. Second, I will work to build on the strengths of our county to retain and attract jobs; third, as we redesign county government, I will ensure that the stellar health and human services currently provided through the county continue, even as government systems and departments consolidate; finally, it is clear that safety and security are a paramount concern and the county can and should player a larger role in ensuring the safety of all of our neighborhoods. The top priority is to create jobs for the people in Cuyahoga County. I have been creating good jobs for 40 years. I will aggressively market our region to bring new jobs here by developing the www.CuyahogaJobs.us website, a database of the county’s physical assets and human resources. I will restore the people’s trust in their public servants, first leading by example. I will also establish the Commission on Public Integrity to root out corruption and incompetence. I will overhaul the appraisal process, hiring only qualified professionals, to make sure property taxes are fair and accurate. A major function of county government is providing health and human services. I will make sure the safety net is working effectively and efficiently. My primary objectives would include advances in the following three areas: Code of Ethics: With the now pervasive admissions of guilt throughout our regional public agencies, it is clear that 1) formation 2) adoption and 3) strict enforcement of the nation’s most effective public Code of Ethics must be the first priority of this transformed county government. It must be first because, no matter how vital human services and economic development are in our scheme, all will fail if we cannot trust those spending our money. Jobs: Government is most helpful when it performs its vital public functions so efficiently as to create the sense and reality of well-being within the community. When there is good government in a community it serves as one of the major incentives for people who want to work and live there. Good government wisely utilizes its resources in concert with private and non-profit entities. It works in supportive ways to encourage starting up and maintaining employment. Education: It’s imperative that we see that every child succeeds. We must embrace the regimen that every child born into this community be provided with the encouragement and tools to live up to their highest potential. It is humanity’s highest responsibility. When any child falls short of his or her potential, we all lose. Cuyahoga County’s infant and early childhood education approach is a promising beginning that needs to be expanded upon in every space where a child’s future is being shaped. As a lifelong Cleveland Heights resident, promote our successes throughout the county. Consolidate and re-engineer county business systems, adopt a collaborative method of service delivery, and increase productivity 25%. In four years, be saving $200 million each year. $200 million for tax cuts and investment in jobs and prosperity. Have an transparent and responsive county government by implementing Ethics Workgroup recommendations. County business will be on-line. There will be no “missing” files. Create jobs and prosperity by promoting the healthcare technology industry and stimulating business expansion by reducing taxes and buying local. Describe the duties of the members of the County Council. First, it is important to draw the distinction between “duties” and “powers;” duties being what the new Council has to do, powers being what the new Council can do. The duties of the new Council include setting up a structure for managing county properties and bureaucracies, approving the budget, creating a development plan, developing a code of ethics, etc. However, it is the powers of the new Council that county residents should be concerned about. The powers of the new Council and Executive are extremely broad. However, the real concern comes from the language that introduces the express powers for the new Council: “All powers of the Council shall… include, but not be limited to the following” (12 powers listed). Similar language introduces the powers of the Executive. Because this language says the powers are not limited to the express powers, we must look to the rest of the charter for any limitation. Other than some vague language about respecting municipal rule, there are no limitations given to this new government’s power. So, other than state and federal law and their respective constitutions, this new county government has near unlimited power. I believe that it is power that causes corruption: Absolute power corrupts absolutely and this new government has near absolute power. 1) Describe the duties of the members of the County Council. The County Council serves as the legislative arm of county government. The primary role of the Council is to provide oversight over the operation of county government and to serve as a balance to the powers of the County Executive. The new Council will play an instrumental role in the transition of the current county government structure to a new structure. It is critical that the new Council have a clear understanding of the roles and responsibilities of these departments so that the county can operate efficiently and with no disruption in services to residents during the transition. There will be 11 Members of the County Council. This should prepare the County for 11 New Watchdogs over the public interests. The duties other than as described in the Charter Article III are more responsibly described as a duty to return Cuyahoga County to being a government of honesty, reliability, and an open government of the people. The citizens of Cuyahoga County will being given a new LIGHT TO ILLUMINATE EVERY CORNER OF their County Government for open examination of the millions of dollars that the Council will control, where no light has shone before. 1. Describe for us the duties of a member of the County Council. The main duty of a member of County Council or any other political office is to represent the will of the people with honesty and integrity. They should work to reduce the tax burden on the citizens as well as keeping debt to a minimum and never passing debt onto future generations. Finally, the Council should work to reduce the size of government. Fiduciary and legislative as stated in the Charter: write or amend ordinances or resolutions including: appointments, establishment of departments, policy, procedures, contracts. Oversee and approve annual tax budget, operating budget, capital improvements program and appropriations. Be a check and balance to the Executive. I have done this for 21 years on Richmond Heights Council. The County Council is the legislative branch of the new County government which will provide the checks and balances needed to oversee the County Executive. The duties of the Council include, but are not limited to, adopting and amending the County' s annual budget, confirming executive appointments, establishing an ethics policy and crafting rules and procedures for board appointments. The Council also has a duty to create a program to facilitate education and job training opportunities for individuals in the County. Council has been empowered to enact ordinances and resolutions to stimulate economic development. Matt Brakey, 29, Republican. Cleveland Heights. Job: President, Brakey Energy. 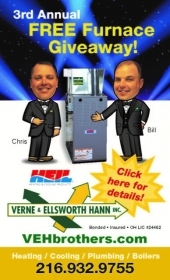 We provide comprehensive energy management services to some of northern Ohio's largest companies. KC Petraitis, 24, Democrat. Collinwood, Ward 11, Cleveland. Job: Currently unemployed, former employee at the Cleveland Lakefront State Park. Danny Williams, 56, Democrat. I have lived at 2219 Elandon Drive, Cleveland Hts., OH 44106 for the last 17 years. I earn my living as Executive Director of The Free Medical Clinic of Greater Cleveland, one of the oldest free clinics in the country and by far the largest in Ohio. The Free Clinic provides high quality medical, dental, mental health, substance abuse and HIV/AIDS services free of charge to over 10,000 people every year, with a paid staff of 53 and more than 300 medical and lay volunteers. John Crist, 28, Democrat. Cleveland Heights, graduated from CWRU Law School in May (I can't call myself an attorney until I pass the bar-- we will get results back in November). My name is Barbara J. Thomas, I am 70 years old, a Democrat and I have been a resident of East Cleveland, Ohio for 45 years; I am retired receiving a pension from Metro Health Medical Center, I am now receiving income as an East Cleveland City Council Member. Albert Knute Oberst, JD, 76, Republican. Cleveland Heights. Job: Retired volunteer, living on pensions and stock income. Also, I will not take a paycheck....I am giving back. Opportunity. The reason families boarded ships to come to America; risk takers moved west across the country; African-Americans moved north after the Civil War and even the reason Bill Gates left school before his Harvard education was complete. It is by seizing our opportunities that we have been able to create independence, work, wealth and a future. All candidates were given the same questions, and the same word limit, which was 1300 words, which they could use in any way they wanted. (No word limit per question.) Questions were developed by John Sheridan, Euclid Observer. 1.) If elected to the position of County Executive, what three or four goals would top the list of things that you'd hope to accomplish during your term in office?